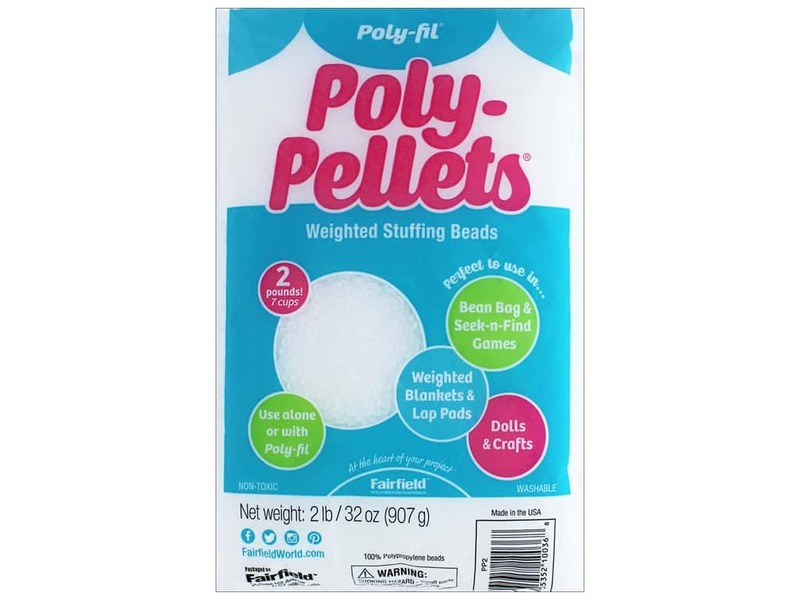 Description: Fairfield Poly-fil Poly-Pellets are used to create posed dolls, teddy bears, and other decorative toys. These pellets add weight and flexibility, thus enabling the filled portion of the craft to be placed easily into a posed position. They can be used to fill an entire area, arms, legs, lower torso, or in combination with polyester fiber fill. Designed for decorative dolls and crafts. Not for use in children's toys. Non-toxic, washable and 100% polyproylene. 32 oz.